Whiskey Tasting Selection Tour Scotland. Scotch makes a perfect gift for any occasion, even if it is just for yourself! The whiskeys from Speyside are some of the most elegant and universally enjoyable among the Scotch whiskeys available today. Speyside scotch is known as a very elegant ​whiskey and it is home to most of the distilleries in Scotland. Among the top brands, you'll find familiar names and each offers a vast range, so there is something for every occasion and every level of whiskey enthusiast. 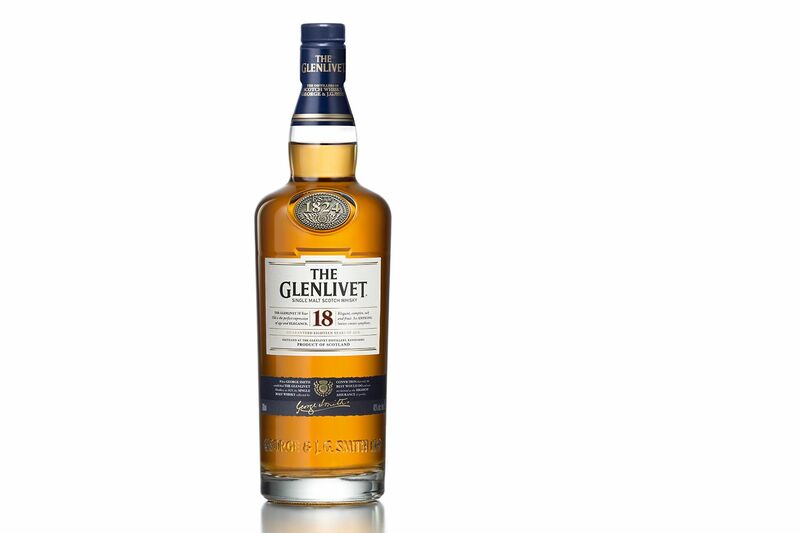 The Glenlivet 18 Year Old Single Malt Scotch Whisky. The Glenlivet is the "whiskey that started it all" and an iconic name in the world of whiskey. The first legal distillery in Speyside, the Glenlivet's whiskeys are characterized by bright tropical fruit notes including pineapple and banana. The Glenlivet 12 Year makes a great introduction to the world of single malt scotch and is surprisingly affordable at less than $50. For less than $75, upgrade to the 18 Year or the Nadurra selections which are perfect gifts for dedicated Glenlivet fans. Glenfiddich 50 Year Old Single Malt Scotch Whisky. William Grant & Son Ltd.
Glenfiddich Single Malt Whisky is The Glenlivet's main competitor in the Speyside region. While The Glenlivet is the top-selling single malt in the United States and number two in the world, Glenfiddich is top in the world and number two in the U.S.
Glenfiddich's whiskeys have just a touch of peat smoke to them, so they're not too smoky. They also generally feature hints of chocolate and a slight influence from the few sherry casks used for aging. Look for the iconic 12 Year offering as well as the 18 Year for a nice whiskey that makes a good budget-friendly gift. Ardmore's entry-level offering goes against the typical Speyside grain. It is matured in quarter casks and offers a briny, peaty flavor profile. Ardmore remains a favorite among Speyside whiskeys and is a great choice for those who prefer a more robust, savory whiskey. It's also an excellent single malt choice for mixing up impressive scotch cocktails. The distillery offers a great range of affordable whiskeys and each is special in their own right. The whiskey connoisseur will not be bored with the Ardmore selection so don't be afraid of picking up the wrong one for a gift. Glenrothes Single Malt Reserve Whisky. The Glenrothes produces dessert-like whiskeys and it's one of the few scotches you can actually call delicious. They are rich with wonderful flavors of fruits, nuts, cinnamon spice. and confectioners sugar. If you are shopping for a whiskey lover who enjoys a dram of whiskey after dinner, look for something from the Glenrothes range. It is a vast portfolio of vintage and reserve expressions that continually change and evolve. The Balvenie -- 12-year-old Double Wood Scotch Whiskey. Outside of the circles of Scotch enthusiasts, The Balvenie remains a relatively obscure Speyside single malt, though it is growing in popularity. It is the perfect gift for the whiskey lover who has tried them all and it is sure to make an impression. The Balvenie's house style of whiskey has a pronounced orange note, similar to The Glenlivet's pineapple character. You'll also be delighted to find a rather surprising honey note in any of their whiskeys. The Balvenie Double Wood and Madeira Cask would both be excellent selections for the discerning whiskey drinker. They too have a wide selection of expressions at every price point and if you see a bottling that looks exotic or unique, it is sure to be a good choice. France's top-selling single malt Scotch whiskey isn't as well known in the U.S. It is a bit of a shame since Aberlour (rhymes with "power") makes wonderful whiskey. This one may just be the business gift you have been looking for. Aberlour A'bunadh is a rich creamy dram that will impress even the richest of scotch snobs, though it will not break the bank. Their 12-year-old expressions are a great introduction for the new whiskey drinker. Aberlour has a number of older offerings that will please anyone who enjoys the occasional scotch on the rocks after work. Bottle and case of Macallan single malt whisky. The label on a bottle of The Macallan refers to the Highlands. It's technically a Speyside, which is a sort of sub-region within the Highlands and the two are not that dissimilar. Nonetheless, this is a name every whiskey drinker should know and it has a lot to offer. The Macallan has both introductory whiskeys as well as special bottlings that will thrill anyone. The 10 Year and 12 Year are the flagship bottles and are affordably priced. 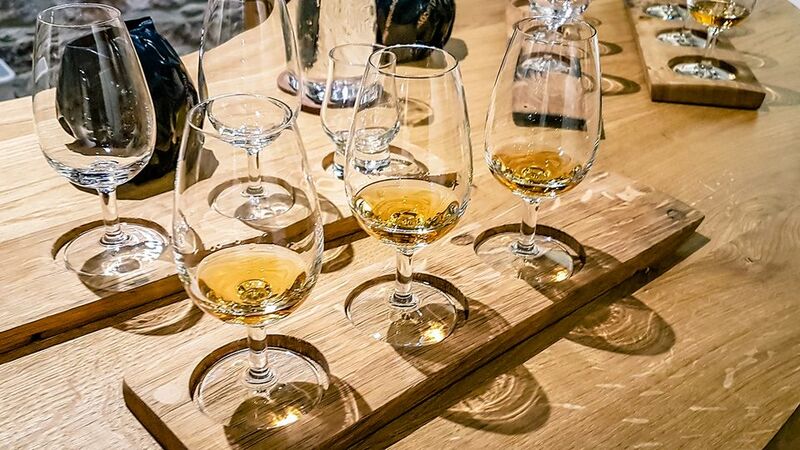 You can also enjoy new experiences and get a taste of various casks the distillers like to experiment with. No matter the level of interest in whiskey, The Macallan offers smooth taste and a light peatiness. This makes it a fabulous candidate for scotch cocktails as well and the reason you'll find a bottle in many bars around the world. Bottle, box and glass of Speyburn whisky. Speyburn is not one of the biggest names in scotch, but it does have a lot to contribute. It's a lightly peated whiskey and the core of its small range is a surprisingly affordable 10-Year-Old. This one is so drinkable that it would make a great addition to a whiskey cocktail gift basket packed with the mixers to make Rob Roys and Rusty Nails. Beyond that bottle, the distillery offers a few more interesting finds. Hopkins Reserve, for instance, is available on the global travel market and has sweet notes of citrus inside the smokier dram. Glen Moray 1988 -- 25 Year Old Port Finish Batch 3. The majority of the whiskey distilled at the Glen Moray distillery is used in blended scotch today. However, you can find some fantastic bottles of their single malts. The Elgin Classic is their introductory level label and this honeyed dram is definitely an easy drinker at a great price. For more experimental offerings, look for a special cask-finished bottle of Glen Moray. These are finished off in port, sherry, and other previously used casks. If you're seeking a peatier Speyside, try Glen Moray Peated for the best of both worlds. Tamdhu 30 Year Old 1988 -- Old & Rare. Sherry casks impart interesting fruit notes to single malt scotch and it is the only type of cask you'll find from Tamdhu. This distillery also produces a lot of whiskey for blends, though their single malts are award-winning and a true adventure. The 10 Year Old is, like others, the brand's signature offering. Yet, for a special gift, it would be good to seek out one of the rarer bottles. These are often available in vintages by year, much like wine, with some of the oldest fetching a pretty hefty price. However, anything bottled in the last 20 years remains under $100 and would make an excellent addition to any whiskey collection.